OSHA has recently released a warning to workers regarding the dangers of methylene chloride. The warning comes after a worker was killed as a result of exposure to the chemical. Anyone who works with the chemical is urged to take extra precautions. According to OSHA, the worker was removing a bathtub coating using a paint stripper. The worker was performing the job in a small bathroom in an apartment. The window was open partially in order to provide ventilation. Just a couple of hours after the project was started, the worker was found unconscious. The cause of the worker’s death has been ruled as asphyxiation with acute methylene chloride toxicity. In many cases, like that when methylene chloride is being used, simply opening a window for ventilation is not adequate. Turn on fans for air circulation and use a respirator. If you are unable to do these things, the chemical should not be used. As has been seen in the case mentioned above, the results could be deadly. If you are not sure if the chemical is in the solution that you are using, read the label or ask someone who should know. Methylene chloride can be found in paint strippers, pesticides and in some solutions that are used in the processing of photographic film. Working with chemicals should always be considered hazardous. If you have been injured on the job and need assistance with workers’ compensation in Charlotte, reach out to our team of attorneys. We will review the details of your case at no cost to you and advise you of your options. Call now for assistance or browse our website for more information about our firm. Molds are a type of fungi that can be found virtually anywhere. When molds grow excessively and you breathe in their spores, you can become ill or breathing issues could worsen. If you are exposed to mold on a regular basis at work and become sick as a result, you may be entitled to workers’ compensation. Here is more information on mold and the health problems it can cause. Mold can’t grow without moisture and organic material. While many people are familiar with greenish-blue and even black mold, the fungi can come in a variety of colors, including white, brown and orange. 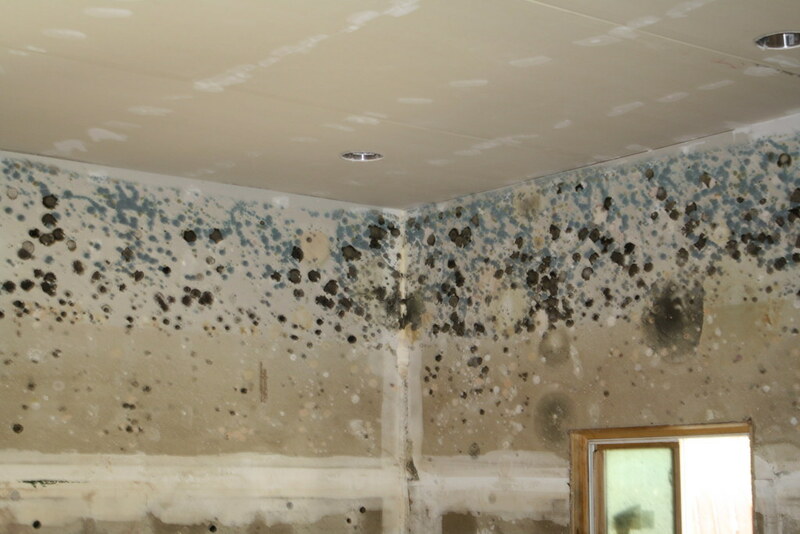 Some mold is easily visible, while other outbreaks hide in corners and crevices, never seen by the human eye. If you are exposed to mold on a regular basis, you may breathe in the pores. You can also be exposed to mycotoxins which grow on mold if you come into contact with it. Exposure to both materials can have a different effect on your health. People exposed to mold react in different ways, depending on their sensitivity. Typically, you can expect to have an allergic reaction, similar to one you would have if you are allergic to pollen and other outdoor organisms. People who are overly sensitive to mold may experience serious symptoms, including infections of internal organs. If you have been tasked with removing mold from your workplace, you should take the proper precautions, including the wearing of latex gloves, eye protection and a respirator. Wash hard surfaces with everyday cleaning products. Avoid the use of toxic chemicals to clean mold as they are not necessary. If you notice mold in carpet or in drywall, do not attempt to remove it on your own. This type of mold growth should be handled by someone with proper training in its removal to ensure the safety of everyone. If you believe that you have been exposed to mold at work and fallen ill as a result, you may be entitled to compensation. Call our team of attorneys today for assistance with workers’ compensation in Charlotte. We will review the details of your case at no cost and advise you of your options. School days are here. For some parents, it means a renewed sense of freedom. For others, it means days spent worrying whether their babies are making it through the day without them. No matter how you feel about school, one thing is for sure: Kids are riding in buses and walking down streets in numbers that weren’t seen all summer. A safety reminder is just what we need to help us keep kids safe before and after school. Do not pass a bus that is stopped, whether or not its flashers are on. You must stop if the yellow or red lights are flashing and the stop arm on the side of the bus is extended. The area that covers 10 feet in front of and around the school bus is the most dangerous for children. Stay alert when you are near a stopped bus. Do not count on the fact that the driver will have remembered to turn on the flashers if a child is exiting the vehicle. Likewise, keep your eyes open when you are in a school zone. Speed limits are lowered and must be followed. Watch out for small children and remember that they can be unpredictable. If you are near a crosswalk, pay attention to the children standing on the corner. It’s not unusual for a small child to dart out into the crosswalk, even if not directed to cross by the attendant. These are just a few tips to help keep your child and all others safe this school year. Staying alert for little ones will help to ensure that accidents involving kids are kept to a minimum. If you or a loved one has been the victim of a personal injury in Charlotte, you need an experienced attorney on your side. Call our team today and let us review the facts of your case at no cost to you. Call now or browse our website for more information about our firm and the types of cases we handle. If you have a FitBit or similar device, you are familiar with wearable technology. We will soon be moving beyond wearable technology that simply tracks our level of exercise and fitness. The U.S. Food and Drug Administration (FDA) has approved the Indego exoskeleton, a piece of wearable technology that can help those who have been paralyzed or disabled walk again. It is just one example of how technology could aid in the treatment of people who have been injured on the job. The devices that are being tested and released are ushering people into a new age of personal health and wellness. The workers’ compensation industry is wrapping its figurative arms around the latest in wearable tech. Doctors are writing prescriptions for it, claims managers are considering using it to help patients deal with injuries, and attorneys will begin to consider the cost of wearable technology into claims and lawsuits. Workers in the mining and construction industries can be assigned wearables to alert managers and supervisors if they enter high-risk or restricted areas. Workers can wear fitness trackers to help monitor their current level of fitness. This can be especially useful in industries where physical fitness is an important part of the job. Outdoor workers can wear technology that will alert them when they have been in the sun or heat for an amount of time that has been deemed a risk to their health. These are just a few of the ways that industry experts are looking into as a way to prevent illness and injury on the job. Used for prevention and healing, wearable technology could change the face of workers’ compensation as it is known today. If you have been injured at work and need assistance with workers’ compensation in Charlotte, you need an attorney you can trust will stand up for the rights of you and your family. Call our office today for a free initial consultation and let us offer you our assistance. People who are physically injured on the job are aware that they can file a workers’ compensation claim to assist them in paying for the costs associated with those injuries. Slips and falls, lacerations and incidents involving machinery are all covered. There are even instances in which telecommuters hurt on the road or at home may be compensated for their injuries. What happens, though, when the injuries you sustain are not physical, but mental? When it comes to workers’ compensation in Charlotte, you may be compensated for workplace stress or even sexual harassment. Proving workplace stress or harassment due to negligence can be difficult, but not impossible. In many cases, your attorney can argue the point that you would not be suffering with mental distress had your employer taken the proper steps to prevent that distress. Here are some examples. In 2003, a nurse filed a lawsuit against her employer, claiming that she was suffering with PTSD. The woman presented evidence that she worked with patients that were suicidal, homicidal and otherwise disturbed. The court concluded that she was indeed subjected to stress at her workplace, a psychiatric hospital, and that her PTSD was a direct result of her employment. Claims of sexual harassment have been denied in most courts across the nation, with judges handing down opinions that sexual harassment is not workplace specific. There has been a case, however, where a plaintiff was awarded compensation due to general harassment. In that case, the worker was able to prove that she had filed complaints according to policy and that, because her complaints were mishandled, her harassment and subsequent stress were the direct result of her employer’s negligence. Do not assume that because the injuries you have suffered at work are not physical, you do not have a right to compensation. An attorney will be able to advise you of your options depending on the circumstances surrounding your injury. If you need assistance filing for workers’ compensation in Charlotte or your claim has already been denied, call our team of attorneys. We will offer you a free initial case evaluation and review the details of your case. Call now for assistance or browse our website for more information about our firm and the types of cases we handle. Boating is a popular pastime in North Carolina and other coastal states. When safety is taken into consideration, boating can be a fantastic way to spend a summer afternoon. Unfortunately, accidents occur when people are distracted or otherwise engaged, and wonderful days enjoying the beautiful weather can quickly turn to tragedy. It can pay to know why boating accidents happen. Here are the four most common causes. It is never a good idea to take chances with your boat, whether you are carrying passengers or not. The water tends to be busiest during summer, and not every boat captain has the experience to navigate the crowds. Always operate the boat defensively, assuming that those around you only get out on the water occasionally. If it is you that only sails now and again, pay close attention to what you are doing, avoiding distractions whenever you can. Always watch weather reports before you head out on the water for the day. Do not rely on the reports you saw last week or even yesterday. Many boaters have found themselves in trouble because of unexpected changes in the weather. Speeding in a boat can have just as dire consequences as speeding in a car. The same can be said for drinking and driving. In fact, drinking and boating can be even more dangerous. The soothing effects of the waves and the beating down of the sun can make the amount of alcohol it takes for you to become impaired even less. You can’t always predict hen something on your boat will fail, but you will have a better idea if you perform routine maintenance. Additionally, perform a safety check before you go out each and every time. Make sure that all of the boat’s parts are in working order, and be sure to have safety equipment stashed on board. Not every boating accident can be prevented, but those attributed to human causes certainly can. Take care to operate your boat safely and be sure that it is regularly maintained. If you are involved in a boating accident in North Carolina, you may be entitled to compensation for property damage and injuries. Call our team of attorneys today for a free case evaluation. We will advise you of your options and assist you as you move forward. Call now. Earlier in the year, Dave Mirra was found dead of what was eventually ruled a suicide. The BMX star left those behind questioning why he would have ever considered killing himself. By all accounts, he was a healthy and happy man. Eventually, his death began to be tentatively linked with CTE, or chronic traumatic encephalopathy. The degenerative brain condition occurs when people are victim of repeated head impacts. While CTE may not have killed Mirra, it certainly contributed to his suicide. People with CTE are known to have depression, impulse control issues and, eventually, dementia. Professional athletes in sports like hockey and football are believed to be at a high risk of developing CTE. Mirra’s death had medical professionals questioning just how high the risk was for cyclists. While bicyclists are at high risk for traumatic brain injury due to crashes and falls, it is not believed that they are at a higher than normal risk for CTE when compared to other athletes. It is a misconception that anyone who suffers a traumatic brain injury is prone to developing CTE. The truth of the matter is that it generally takes repeated impacts to the brain before CTE becomes a concern. Cyclists who are concerned with incurring a concussion can take precautionary measures. This is especially important for freestyle riders and racers, as well as any cyclist who has had a previous concussion. The most proactive thing a cyclist can do is to wear a helmet lined with an MIPS Brain Protection System. These liners can lesson the impact of rotational forces and reduce the danger of sustaining a concussion. If you are a cyclist who is concerned with concussion and the potential for CTE, it is recommended that you speak with your doctor. A medical professional can assess your unique risk and advise of the precautions that would be most suitable to your situation. If you have been involved in a bicycle accident in Charlotte, call our office for assistance. A member of our team will review the details of your accident and advise you of the options available to you under state law. Call now or browse our website for more information about our firm. Think back to when you were 15 or 16 years old. Are you able to remember your driver’s education course? If you can, chances are you recall learning the general rules of the road, how to drive with your hands at 10 and 2 and, worst of all, parallel parking. What most people don’t recall is learning how to drive safely around big rigs. In fairness, we are taught to drive defensively no matter the situation we are in. What few, if any, are taught, are the safety procedures that should be enacted when driving around semi trucks. Knowing how to share the road with big rigs can help save your life. Here are a few things about 18-wheelers that you may never have been taught. How many times have you driven down the highway and seen scraps of tires littering the shoulder? Tire blow outs are more common than you may think. Avoid driving for a lengthy time next to a semi. There’s a good chance that shards of tire can come flying at your vehicle. Sure, trucks are heavy. That doesn’t mean that they are impervious to being blown by the wind. In fact, trucks have a large surface area, making them more prone to blowing. Don’t be surprised if a semi drifts into your lane during a wind storm. There are four “no zones” around a big rig. These are directly in front and back of the truck and to either side next to the cab. Don’t mess about when you are passing a semi. Put your foot down and get past it as you safely can. Try to avoid getting on the side of a semi near on-ramps. If they have to suddenly move over to let a car in, you could find yourself pushed off the side of the road. Never cut off a semi truck. It can take a loaded semi the length of three football fields to come to a complete stop when traveling down the highway. Put a few hundred feet between you and the truck before you decide to get in front of it. Sharing the road is something that we all have to do. Knowing how to share it safely can help ensure that you get where you are going without injury. If you have been involved in a truck accident in Charlotte, our team is here for you. We will review the details of your accident at no cost to you or your family and advise you of the options available to you. Call now for assistance. People who work outdoors know that they need to worry about the heat. When you stay outside in high temperatures for too long, your chances of heat exhaustion or stroke climb. Unfortunately, heat isn’t the only thing that workers need to worry about this summer. The Zika virus is a real concern this summer. 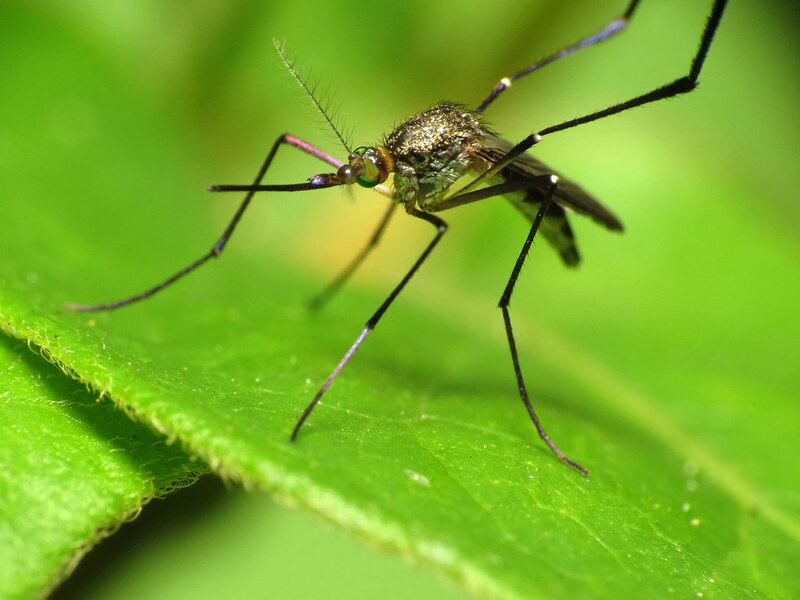 Zika is a virus that is transmitted through mosquito bites and coming into contact with infected blood. It can also be transmitted through sexual contact. For those who are working outdoors during hot, humid days, the greatest risk is from mosquitoes. Here’s how you can protect yourself. If you are working near a body of standing water, remove it. If it is not up to you to get rid of the water, talk to whose job it is. Still water attracts mosquitoes. Getting rid of it will help to keep the insects at bay. Wear clothing that covers your limbs. This can be difficult if it is hot outside and the humidity is soaring. If you must wear short sleeves, treat your shirt with permethrin, an insecticide that keeps mosquitoes at bay. Wear outdoor insect repellent, and reapply it according to the package’s instructions. Any container on site that holds water, no matter how little, should be emptied weekly. Once emptied, the container should be scrubbed and dried before being filled with water again. If you work outside, you have a chance of contracting Zika. While it may not have spread through the country just yet, it is here — and North Carolina is becoming a hotspot. It’s always better to be safe than sorry. Zika presents similarly to the flu. You may be fatigued, have a fever, joint pain or a rash. If you notice any of these symptoms, visit a doctor as soon as possible. The good news is that Zika, when contracted by otherwise healthy people, tends to be self-limiting. Your symptoms should disappear in a week to 10 days if you are unlucky enough to catch the virus. If you do catch the Zika virus while on the job, you may be entitled to compensation. We can help you with worker’s compensation in Charlotte. Call our office today for a free case evaluation. If you are injured at work, you can reasonably expect that your injuries will be covered by workers’ comp. That’s what the insurance is put in place for. But what happens if you put in a claim and that claim is denied? The good news is that you still have options. Here is a brief outline of the denial of workers’ compensation claims. Timely Reporting: You did not report your injury in the time frame allotted by state law or you did not file your initial claim within the time limit. Not Compensable: This does not argue that you were injured, but that your injury is not compensable under state law. Medical Attention: You failed to seek medical attention after your injury. No Evidence: There is not enough evidence to prove that your injury occurred on the job. If your workers’ comp claim is denied and you know the reason why, you can file an appeal. Within the letter will be a date by which the appeal must be filed. One of the first things to do before you file an appeal is to meet with your employer. In some cases, a denial is made over a simple clerical error that can be cleared up quickly. If this is not true in your case, you will want to consult an attorney. While you can certainly file an appeal on your own, an attorney experienced with workers’ compensation law can be of great value. Most attorneys offer a free initial consultation to look over your denial and advise you if it would be wise to appeal. Take advantage of this consultation. It is a waste of time to move forward if you do not stand a chance of winning. If you need assistance with workers’ compensation in Charlotte, call our office. A member of our team will review your case at no cost to you and advise you of your options. This is true whether you are filing an initial claim or considering an appeal of denial. Call today for assistance or browse our website for more information about our firm.